Running and jogging can be a great form of exercise to improve overall health, however like most exercises there is also the potential for harm. Hard running surfaces, doing too much too soon, inappropriate shoes and body shape can lead to over-use of muscles. Shin splints is a common term used to refer to pain between the knee and ankle. There are a number of possible causes of leg pain which need to be diagnosed and treated appropriately. 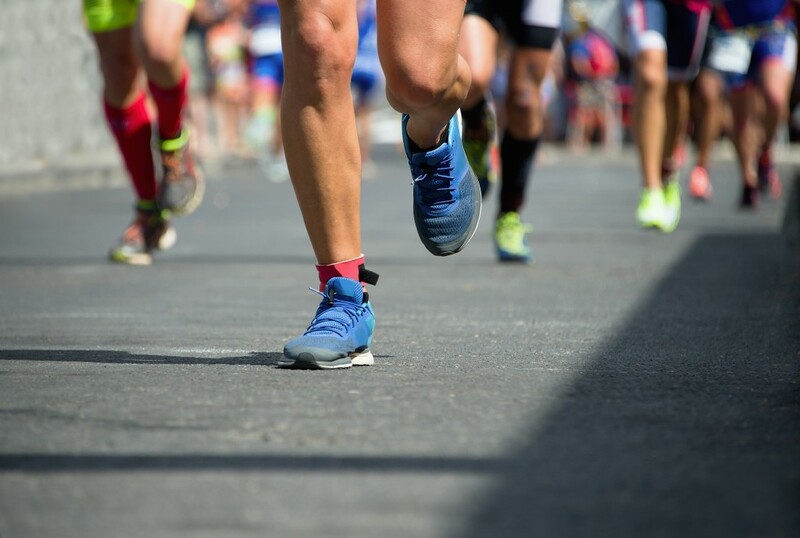 The forces exerted while running are much greater than walking, so if the arch of the foot collapses with every step, this can cause muscles that connect the foot and leg to pull excessively from their attachment to the bone-usually along the shin. Podiatrists are able to diagnose over-use injuries of the foot and leg and prescribe shoe inserts to rebalance the foot, preventing muscle strain. The conditions that cause knee pain in children and teens are likely to be related to growth and activity. The leg bones grow very quickly and this can cause muscles to tighten and restrict normal movement. The knee is basically designed as a hinge, if it experiences too much rotation from the foot being rolled in or out too much then problems occur. The kneecap actually free floats within a tendon, so too much rotation will pull at its’ bony attachments. Adult knee pain may also be related to the lack of stability in the foot. Some knee problems however, are the result of trauma to the area and are not likely to improve with foot correction. A podiatrist will be able to examine the lower limb and feet for postural problems. Correction of foot mechanics produces a stable limb for support when walking and running. There are two types of limb length discrepancy, the first and less common is if one of the leg bones is actually shorter than either one on the other leg. It is a reasonably common complication after hip replacement surgery or polio, or severe fractures of the leg. The most common scenario is a soft tissue problem which causes postural shortening of one limb. This may be related to occupational or repeated postures, scoliosis (curvature of the spine), hip and lower back problems. A podiatrist is able to assess for limb length discrepancy and prescribe an appropriate treatment.